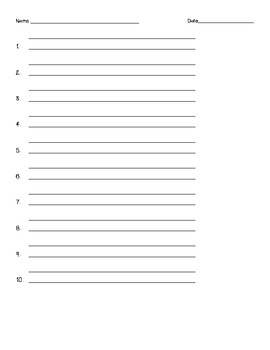 This is a spelling assessment paper for 10 words, using HWT (Handwriting Without Tears) lines. There are also forms for 12, 15, 20, and 25 words. 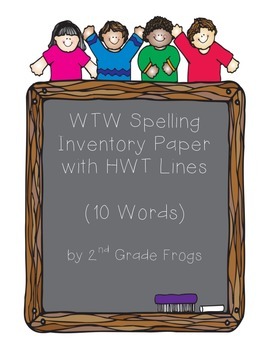 I use this to administer the WTW (Words Their Way) Elementary Spelling Inventory.